on my first look at Affinity Photo Beta compared to PS, I miss the polygonal lasso tool. I have found the 'Selection Brush' is a pretty good way to select an area in a similar way to the Magnetic Lasso Tool & the Lasso Tool can function in a similar way as the Polygonal Lasso Tool if you use the modifyier keys that Affinity shows you at the bottom left hand side of your application window. 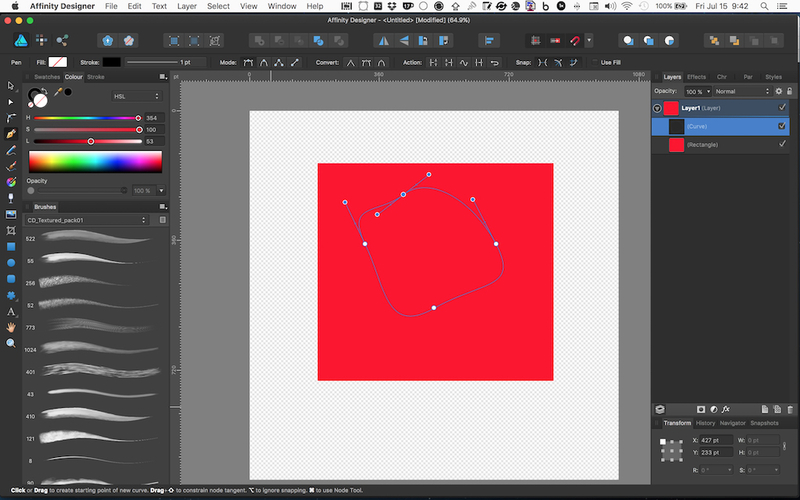 The Free Hand Selection Tool in Affinity works similarly to the polygonal lasso tool. You can find it in the same group as the Rectangular Marquee Tool (press and hold the mouse over it to show the rest of the tools).  To draw straight segments with it press ⇧ (shift). I cannot get the SHIFT key to trigger Straight Line functionality as you describe. I am using Affinity Photo 1.3.4. But even if that's a bug and you fix it, the fact remains that Photoshop's Polygonal Lasso Tool (PLT) works differently from AP's Free Hand Selection Tool (FST). With the PLT, you click multiple times to slowly create your selection. Even if you did have the means to create straight lines with the FST, the fact remains the FST does not use a "Path Tool" style means of selection. Therefore, it would be nice to see a true PST equivalent in AP. Please seriously consider adding it. Saying it another way, the PLT in Photoshop doesn't require you to "hold things down." No constant clicking required. No constant pressing of any keyboard keys. You just click to add a point, then click to add another point, and continue on until you complete your selection. It may not have an appeal to you if you've not grown to love that method of selection, but trust me, I use it EXCLUSIVELY in PS. I can't explain why. It just is my favorite way to make selections. So of course I'd love to do the same in AP. Also keep in mind that the PS PLT is not the same as the Pen Tool in terms of the way the "line" appears. With the Pen Tool, you click once to set a point and you and you won't see a new line appear until you click the next point. But with the PLT in Photoshop, you click once and then you will see the selection line. In other words, you will always see the selection line as you click new points. This was raised during the beta - we've agreed to do some more work on the PLT and it's a feature on the Photo Roadmap now - which means we are committed to it! Hopefully it will make it's way into a customer beta soon! I'd like to support the request of JDW. Selecting a distorted rectangular area is very easy with a polygonial lasso tool that just lets you click the corners (as in Photoshop). Holding the shift button with the freehand selection tool of Photo only seems to work partially (not all 4 side are straight lines), and it is not as quick and convenient. Thanks! I agree with JDW's comments. Photoshop has become a monster but it does do some things exactly right. The polygon lasso is one of them. Yes, the polygonal lasso is a must!! It saves work time and it helps in certain tasks. I have tried the freehand selection tool and it is cool but it does not works in the same way even with ⇧ (shift). I was just going to submit a feature request for a polygonal selection tool like PS, which I use frequently. Glad to find I'm not the only one missing this. The holding down of the shift key while clicking around with the Free hand selection tool just isn't intuitive. And honestly, I associate shift-clicking to adding to my current selection (instead of using the ctrl key in AP). you click once to set a point and you and you won't see a new line appear until you click the next point. But with the PLT in Photoshop, you click once and then you will see the selection line. In other words, you will always see the selection line as you click new points. I'm so glad you posted this JDW! The first few times I tried shift-clicking I didn't see a line at all, no indication that the tool was even working. Because of that lack of tool feedback I never shift-clicked a second point. Again, it just wasn't intuitive. I want to see where my initial selection point is so I can properly place my second point. I completely agree with the opinions on the importance of introducing the Polygonal Lasso Tool. It is effective, efficient and most importantly precise. It offers a level of control that current freehand selection tool doesn't just yet. I think it is also worth looking at adding a "refine edge" capabilities similar in Photoshop. 1. It always draws a closed shape, which is rather confusing. Especially when it overlaps when selecting complex shapes. 2. You cannot undo the last (or more) nodes without stopping the selection process, when you have done a mistake. It would be very very nice to have the same Polygon Lasso as in Photoshop. i think it is the number one tool, most people use when selecting shapes. Everyone coming from Photoshop is used to it. Maybe you can use the Bezier Functionality from Affinity Designer to make an even more precised Lasso than Photoshop has. Nothing I have found in Affinity Photo works like the magnetic lasso tool for what I want. The Affinity tools work ok for simpler selections with plain backgrounds, but trying to cut a cyclist out of a pack and take the background and other riders out from between the spokes and parts of the frame would take hours with the Affinity Photo tools, and still give a very ragged result - and be very painful to do!! Photoshops magnetic lasso tool lets you click close together when the background contrast is poor, or hit the option key to use a straight line for a section (cut out bike spokes!! ), but in good areas it just grabs the contrast edge and you can move at a fast pace. Most importantly it is very straight forward and simple to use, and excellent at what it does. This is the one thing that I cannot do without, and even though Affinity Photo is getting really good in other areas, I keep having to go back to Photoshop, so I end up doing everything there while I have it open. The Lasso Tool will be improved to include a magnetic mode. For more info please check Affinity Photo's roadmap. Great! I wasn't aware of the roadmap. I cannot wait! So excited to be able to dump Adobe. Only need a Dreamweaver substitute now. Nothing on the horizon there. This is very possible indeed but since it's not a progressive selection element as such, remember to save your previous selection or you will lose it (e.g. save as a mask). A pen selection option for masking during quick-mask mode or general selection building would be a very nice touch. 4. Double click to close path. Can you change from curve to selection in Designer? I don't see how to do it. Mac MacBook Pro 15 in. OS X 10.9.5, Mid 2012 456.77 GB Affinity Design and Photo. We are going to add a polygonal selection tool in Affinity Photo 1.5.. against my better judgment! 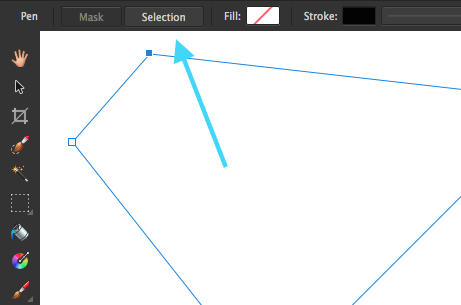 People should be using the Pen Tool (in straight line mode - from the context toolbar) - then using the "Mask" and "Selection" buttons to turn it into a selection. The Pen Tool is far more powerful than any polygonal selection tool in any app!! Andy, thank you for going against your better judgment. You're truly a better man for it! Where is a tutorial on this? Where is the context toolbar?Are the"Mask" and "Selection" buttons in the context tool bar. Here's a tip: if you press and hold ⌘ (cmd) while clicking on a layers's thumbnail in the Layers panel Affinity will create a selection from its content.